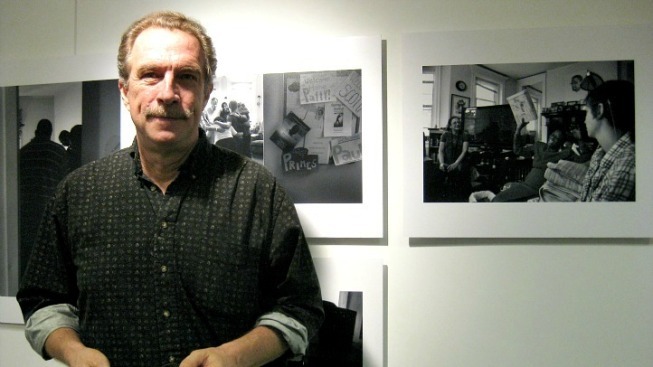 Perkins, one of many photographers featured in this year’s FotoWeek DC, has won multiple Pulitzer Prizes for his work, and one of his photos was chosen as 1995 World Press Photo of the Year. A sample of photographs from Perkins’ ambitious collection is currently being featured at FotoWeek DC through Nov. 12. You can find them at FotoWeek Central (1800 L St. NW). While his range of subjects is extremely wide, Perkins tends to focus on issues-based photojournalism. He has photographed war-torn areas such as Kosovo, Chechnya, Iraq and Afghanistan: “I see photography as a way to bridging cultures and identifying with others." He discussed his shift in topic coverage these days -- he's currently working on the collective project Facing Change: Documenting America. “I’m certainly much more geared towards people who are making a difference; that’s my focus now,” he said. Facing Change seeks to cover under-reported challenges and stories around the United States, such as AIDS hospices, Sept. 11 memorials, and poverty in Louisiana. “Our role [as photojournalists] is documenting the invisible,” Perkins said. “There’s so much junk out there that it’s hard to filter through to find the great work,” Perkins said.